With Disney's remake of Lady and the Tramp set to be a centerpiece film for their upcoming streaming service, the cast being assembled for it is shaping up impressively. Last week Justin Theroux and Ashley Jensen agreed to voice canines in the film, and now Kiersey Clemons is in talks for one of the film's few human roles. 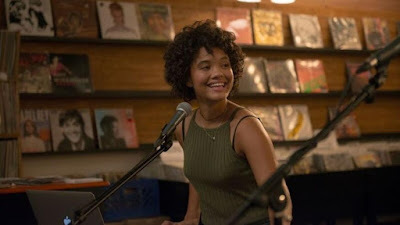 Clemons, who is coming off a terrific performance in Hearts Beat Loud, could join the cast as Darling, the human owner of the Cocker Spaniel, Lady. Charlie Bean (The Lego Ninjago Movie) will direct the remake of the 1955 animated classic about a stray mongrel named Tramp and a cultured cocker spaniel named Lady who fall in love. Theroux will voice Tramp, while Jensen is voicing Scottish terrier named Jackie, a friend of Lady's. Nobody has been named as the voice of Lady just yet.